Statistics show that millions of people receive home health services. That number of people needing and utilizing the services of home care agencies is predicted to continually increase. If the time is near or has come that you or a family member is in need of some assistance, you will find it comforting to know there are many in-home care services available. In your quest to learn more about in-home care, you will discover that the range of service options cover everything from companion care to specialized care. The circumstances that make in-home care necessary are as varied as the types of care someone may need. In-home care is available for people with long or short-term disabilities. Following an injury, heart attack or surgery, most people are eager to return home. Having in-home care enables them to achieve their goal more quickly. Recovering from a stroke can be a lengthy process. Receiving personal care, therapy and help with household chores makes it possible for someone to return to familiar surroundings during the extensive rehabilitation process. Alzheimer's and dementia are progressive diseases that must be managed accordingly. When you begin to notice signs that indicate your loved one is not eating properly, can't manage their medication schedule, are not taking care of themselves or the house as they once did and their forgetfulness raises concerns, it is time to get some in-home help for them. Scheduling an in-home consultation is a good place to start. Trained professionals can evaluate your specific situation and offer a personalized plan that will address your loved one current needs. 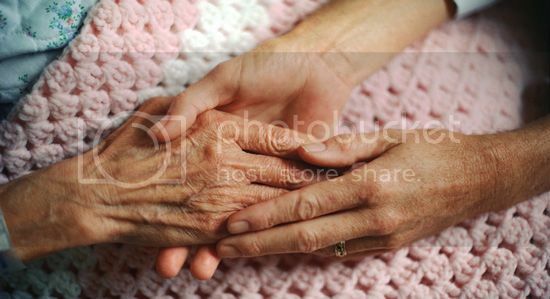 As time goes by, this plan can be adjusted to accommodate the changes in your loved one's situation. While nursing care, specialized care involving ventilators and medication management are services an in-home agency can provide, they also offer non-medical services that can make your loved one more comfortable and safe as well as reduce your level of stress. Your job, the location of your home and your family life may make it difficult or impossible for you to transport an elderly family member to the doctor or to various other places. Transportation, housekeeping services and tasks such as grocery shopping can be done by a non-medical caregiver. Respite service is another way that a home care agency can make life a little less stressful for you if you are the primary caregiver for a loved one.